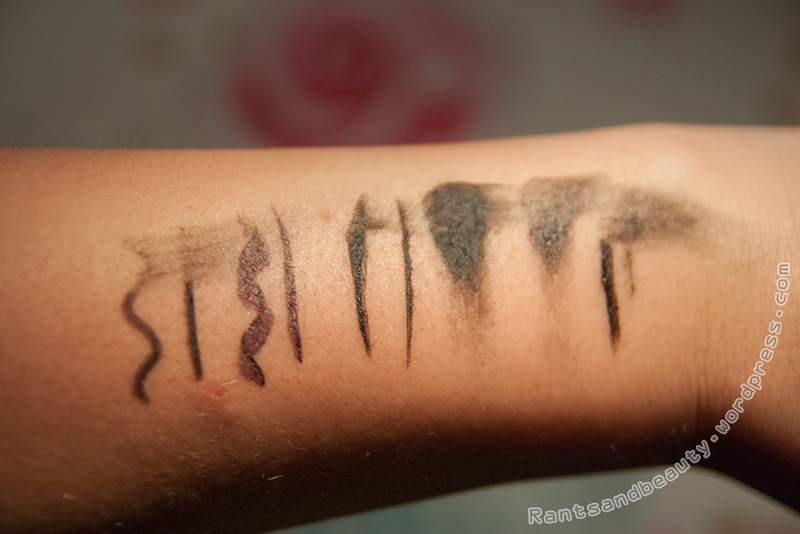 I bought this eye liner pencil from Action a while ago; there were two in a pack for probably under a euro. And the cap has a built-in sharpener! 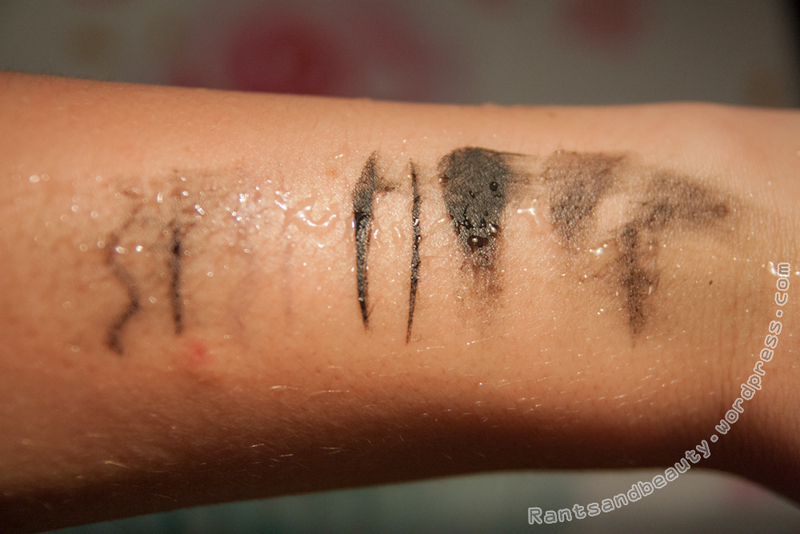 It’s not very long-lasting but the black is quite intense, and it’s perfect for tightlining. Nothing special, but does what I expected it to do! I don’t have any experience with gel liners, these are the only two I have. Therefore I can’t really compare them to anything of a higher quality, but I’ll try my best to review them as well as I can! This is the first gel liner I bought, for this price I couldn’t resist! 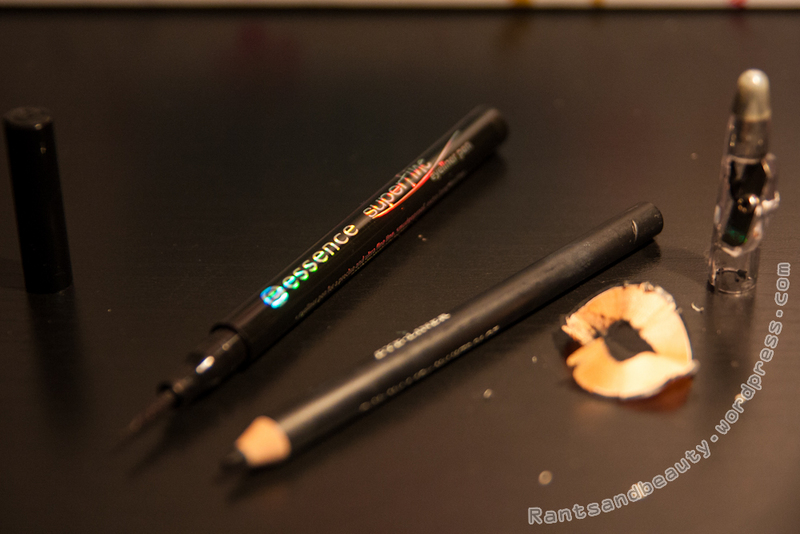 The brush however is pretty damn sh*tty, I cut it to try to make it work better, but it didn’t..
As you can see, all but the felt tip liner from Essence are Jet-black! 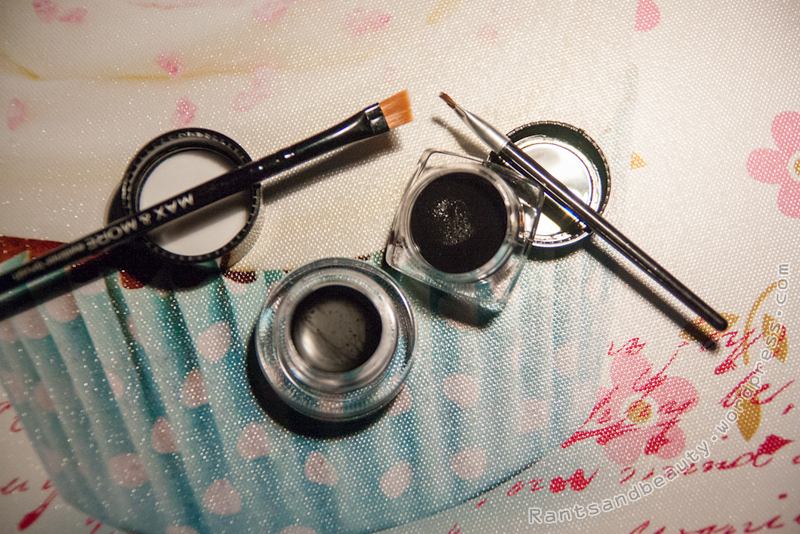 I’m very much surprised by the pigmentation of the cheap gel liners, and the kohl liner is very good too. 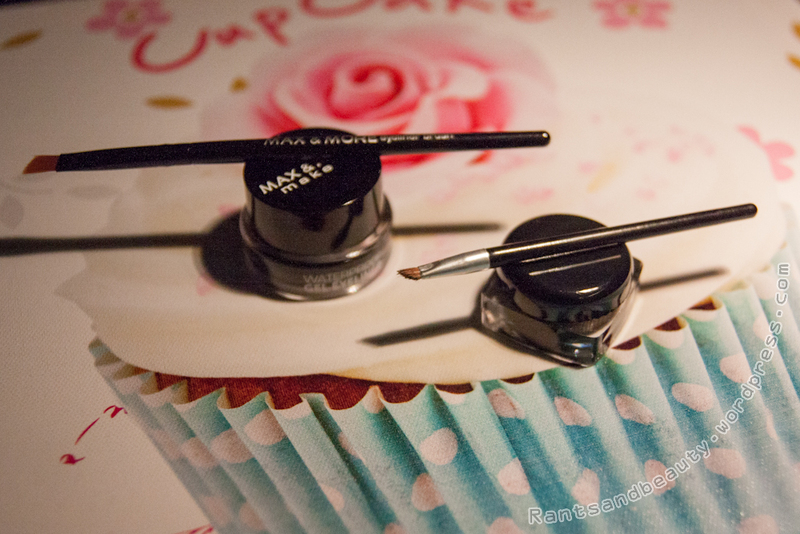 For the gel liners, I used the brushes that came with the pot. 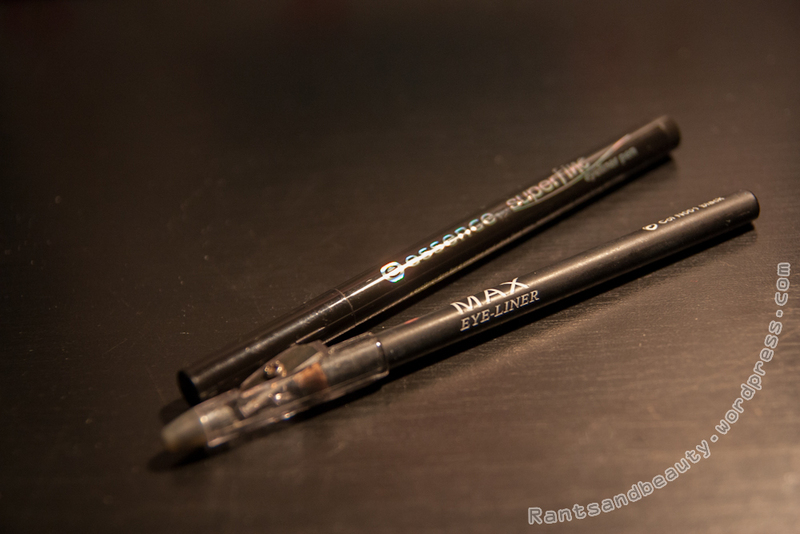 The Max&More formula and brush allowed for very thin and intensely black lines, while the lines of the eBay liner are slightly chunky and the brush was impossible to work with..
All but the Essence smudged, but I don’t think I let the gel liners dry completely, The Max&More gel liner holds very well while being smudged. Because our eyes get wet every now and then (either by sports, rain, or tears 😉 ), I put my arm in the water, and then wiped it to get rid of the excess. 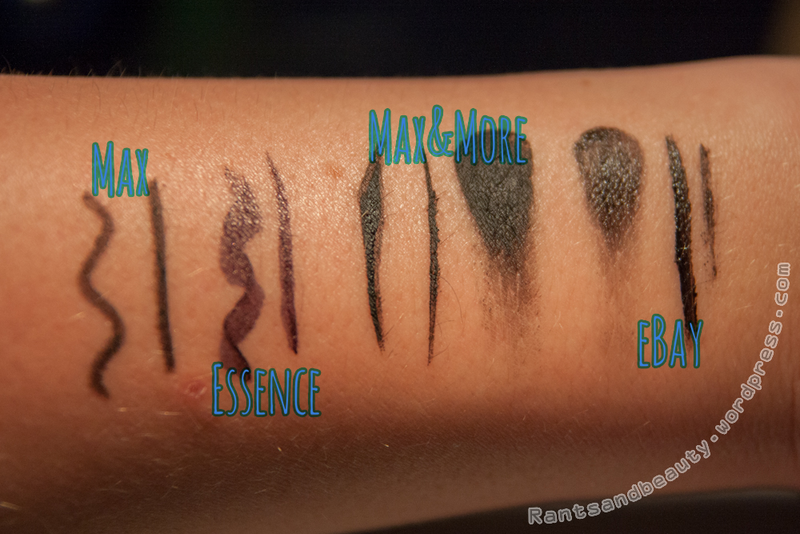 It’s quite clear that the Essence liner is anything but waterproof; all colour ran right off with the water! 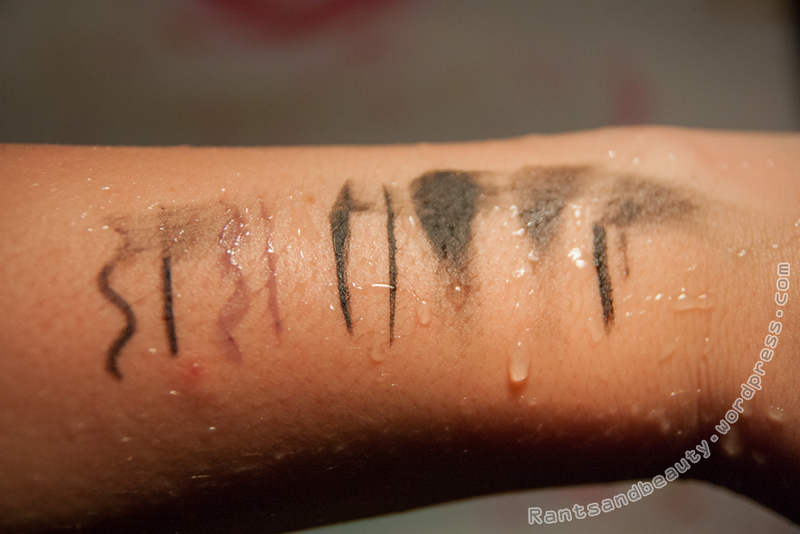 The gel liners and pencil performed quite good, but since they’re oily, they just repelled the water. 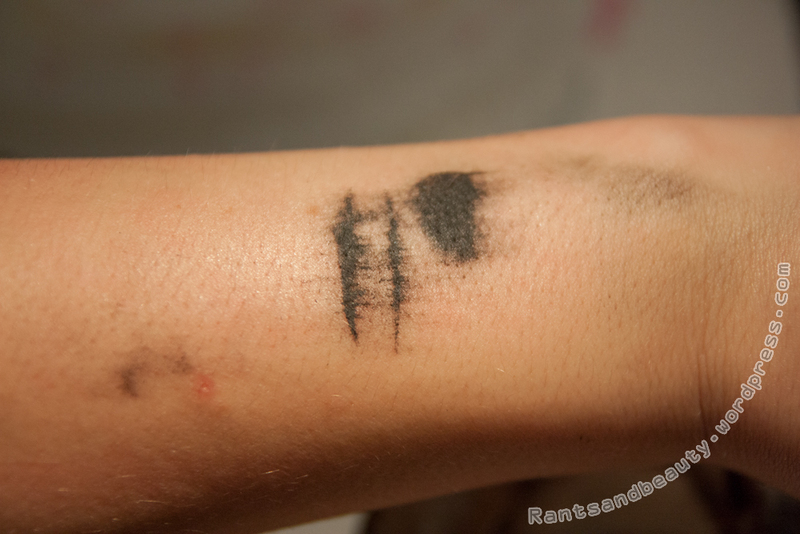 With a bit of smudging, there was barely anything left of the ebay liner, and the pencil isn’t very black anymore either. The Max&More held up amazingly well! It just wouldn’t budge!! I rubbed it with a facial cleansing wipe with coconut oil, and only after a lot of very vigorously rubbing, I was left with a red arm and a little bit of black in the pores of my arm. Seriously long-lasting this stuff! I haven’t really tried it on my eyes yet, since I’m scared it won’t come off…..
Ps, I tried something different in my pictures; I placed some text over them! The fonts I used are from this website (I used Amatic by Vernon Adams!). If you want me to write an article about cool fonts and how to install them (on a Windows computer) please comment! Really intensive testing I’m impressed ! !